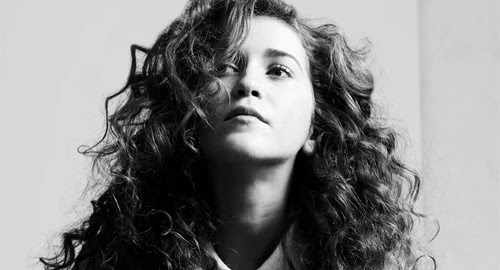 Frizzy of hair and breathy of vocal, Rae Morris is being tipped as one of pop music's NEXT BIG THINGS. So, before the Brits unveil their Critic's Choice shortlist (Thursday) and the BBC reveal their Sound of 2015 longlist (Monday), here are 11 exciting facts about the singer, which I have Googled for you. 4) You may have heard her voice on Bombay Bicycle Club's rather lovely single Luna earlier this year. happy birthday kate bush. what would we do without you. So now you can impress all of your Facebook friends with your insightful and encyclopaedic knowledge of current pop trends. You can also tell them you've heard Rae's new single, Under The Shadows. Be sure to use words like "haunting", "dramatic" and "supple" so you can sound totally up your own arse.